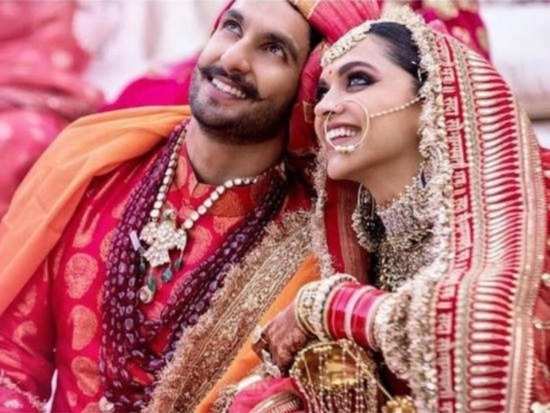 When stars Ranveer Singh and Deepika Padukone tied the knot last year, the who's who of Bollywood came out to celebrate the grand occasion. Even those rumoured to have had a complicated relationship with the couple attended their big day. Friendships and relationships can get messy in B-town. After her breakup with Ranbir Kapoor, Deepika was rumoured to have had a fall out with Katrina Kaif, who had begun dating the 'Jagga Jasoos' actor.Ranveer and Anushka Sharma also dated for a while in 2010 after the release of their movie 'Band Baaja Baarat'. The two did work together again in 'Ladies vs Ricky Bahl' and 'Dil Dhadakne Do'. As times went on it seems everyone involved was able to leave the past behind and carry on. Anushka is now happily married to Indian cricketer Virat Kohli. While Deepika and Katrina have buried the hatchet. During an appearance on a celebrity talk show, Ranveer revealed he was touched that Katrina and Anushka attended his big day. "They weren't there for the sake of it. They were there to wish us well, which was a really lovely gesture," the 'Gully Boy' actor revealed. "It was very significant & special for me that Anushka came. It meant a lot to me. It really did," he is said to have confessed on the talk show.